Our VMware Hosting platform utilizes VMware’s market leading ESXi and vSphere virtualization technology. Which allows us to deliver an enterprise class VMware hosting solution with many features that are simply not available when hosting on traditional dedicated server. 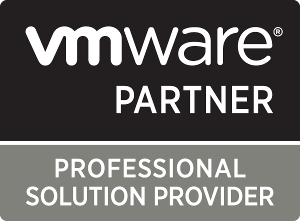 Let us show your business the power of VMware Hosting. Virtual Machines servers are having high physical security and power redundancy Your data will be secure with us. As soon as you make a successful payment via PayPal, your web hosting and domain names will be activated immediately the same day. No waiting time whatsoever. Business and Premium hosting accounts come with the latest version of cPanel. This makes life easy for you to do routine tasks such as setting up email addresses and managing MySQL databases. VirtualMachines.net executed a flawless physical-to-virtual migration for us. Honestly we couldn't have performed the move with out them. Thanks Again! We needed 2 new VM's online quickly. We sent our hard drives overnight and they had us online the very next day. We highly recommend them to anyone needing virtual machine hosting. We finally moved from our old hosting provider after running for years on old commodity hardware. Now we're running on VMware with a real DRS plan connected to secure SAN storage.